And by that I mean, keep on changing. I just came back from a week in London. As I was by myself most of the trip I had plenty of time to do all the things I like doing best, visit old churches, loiter in museums and drink in cramped, atmospheric little pubs. But one of the things I noticed more this time, was the modern, side by side with the ancient. There’s not much medieval (compared with York or Chester), since the fire of 1666, but there is still some, and it sits hapily alongside architecture of all eras since. You have the ultra modern of the Shard and the Gherkin, and the hole in the wall pubs like the Cheshire Cheese. There are even dire concrete edifices from the 60’s & 70’s (I’m looking at you New Scotland Yard). When you consider both the Great Fire and the Blitz, it’s remarkable that as much survives as it does, but it all sits so comfortably together that it makes a joyous whole. We had an experience where walking along a street, looking for a Costa Coffee (not really a challenge, they’re everywhere) we walked straight past a church built by Sir Christopher Wren. After the coffee we went inside for a look. There was a choral group rehearsing a Bach Oratorio (it was Holy Week). There was also a homeless man ranting at anyone who went near him, how wrong it was that the church only let the homeless sleep on the pews of the left hand side of the aisle. I doubt Westminster Abbey is going to let the homeless sleep in their pews anytime soon, but it was interesting for a godless heathen like myself to see these churches still fulfilling their mandate and not just being beautiful tourist attractions and anachronistic edifices. 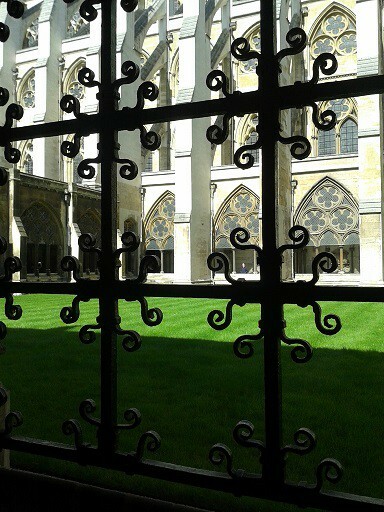 (In defence of Westminster Abbey, they did ask people to stop once an hour for a moment of silent prayer, probably quite a challenge considering the crowds). This entry was posted in Anglophilia and tagged London, travel, UK. Bookmark the permalink.